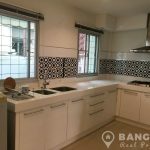 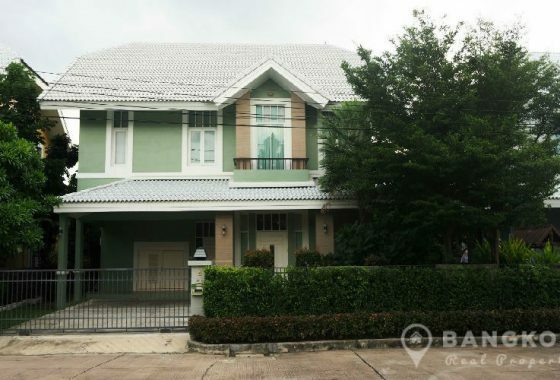 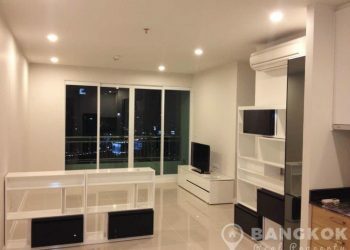 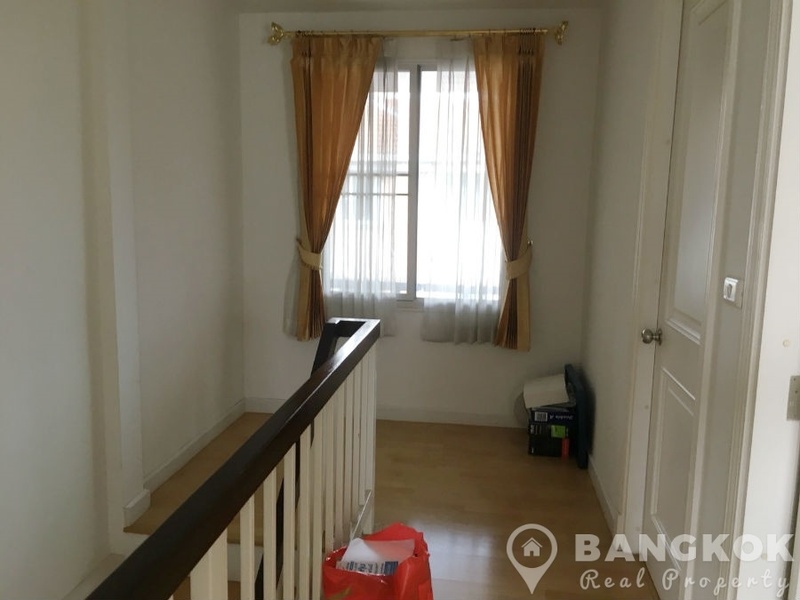 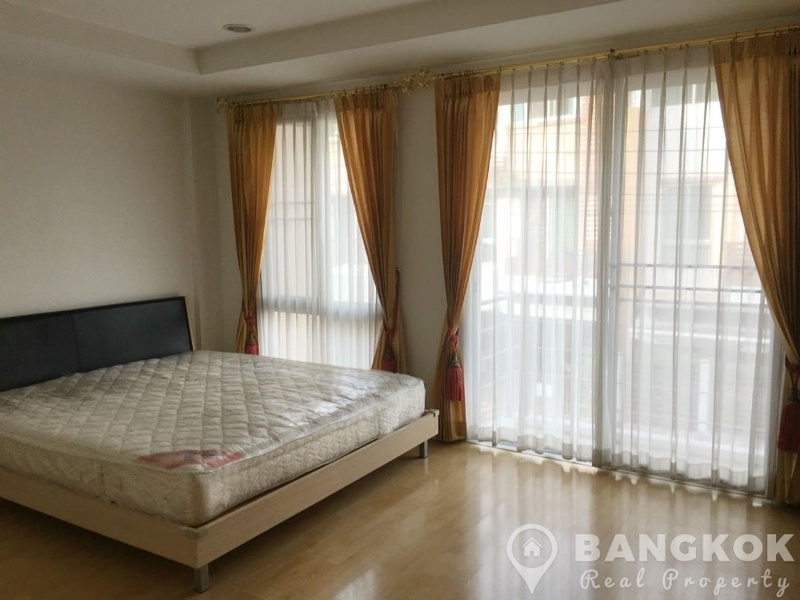 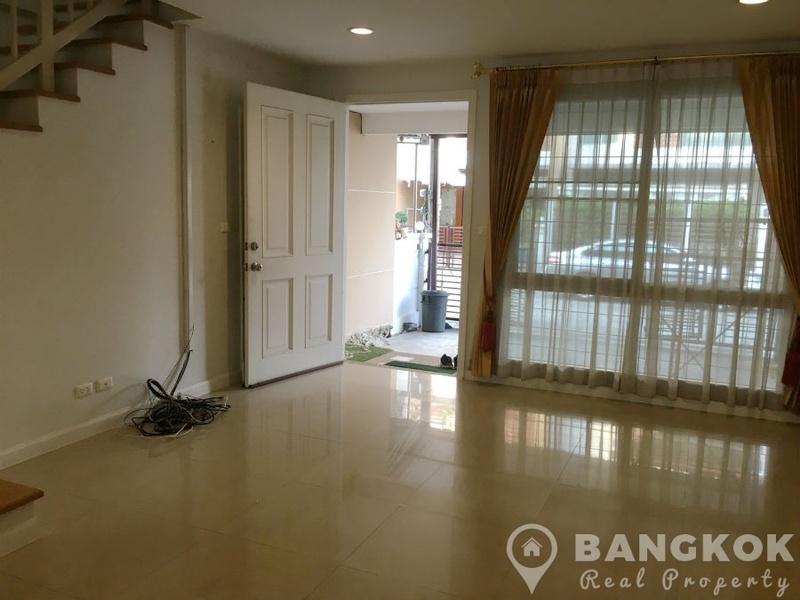 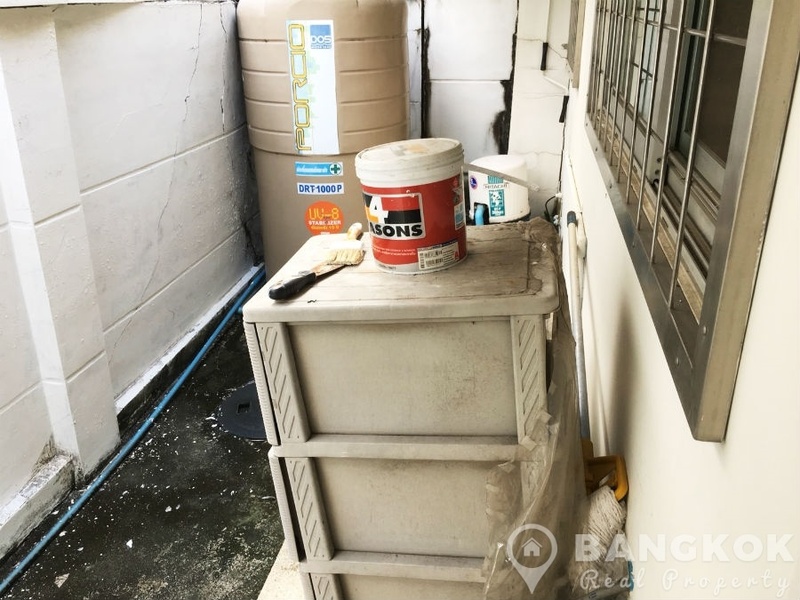 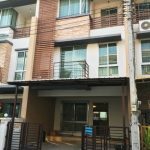 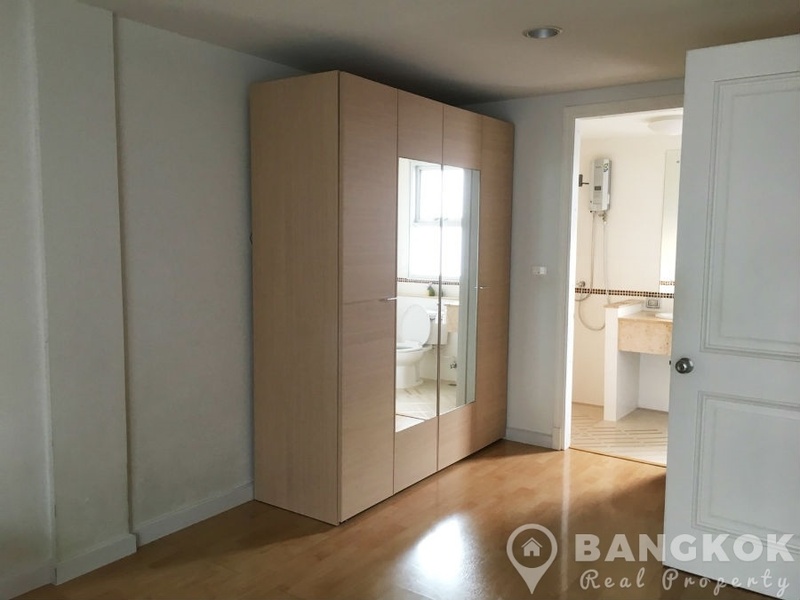 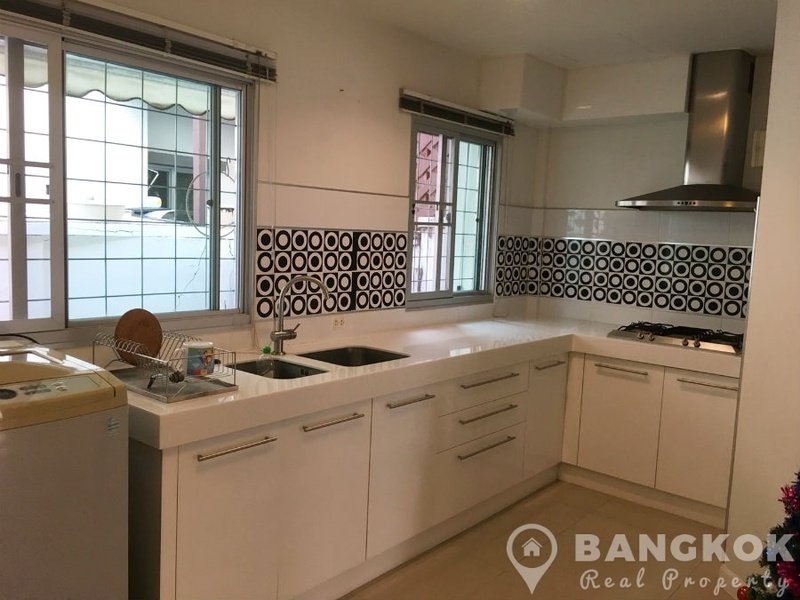 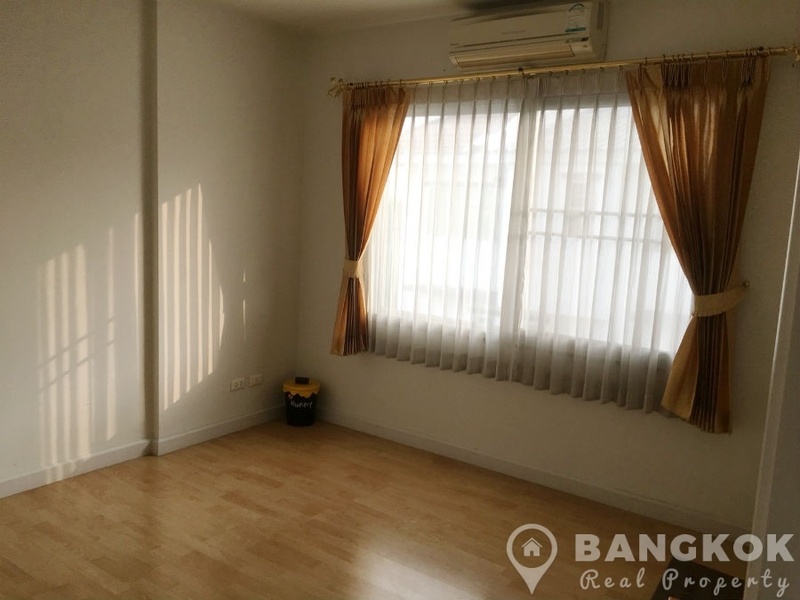 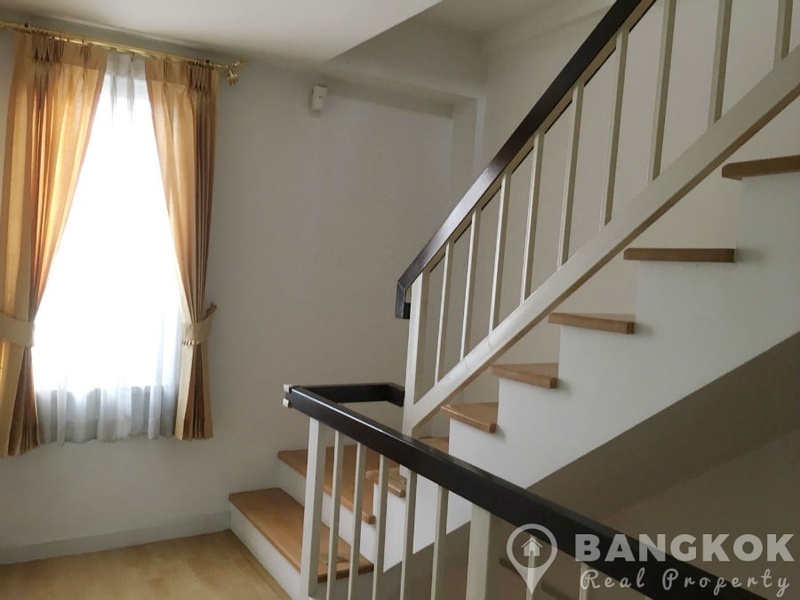 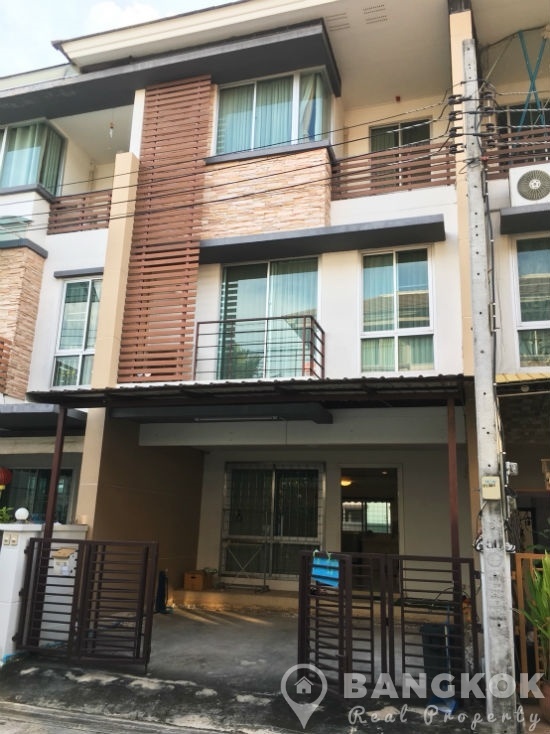 A modern 3 bedroom Udomsuk townhouse is now available for sale superbly located just off Chaloem Prakiat Rama 9 Road within easy reach of Udomsuk BTS. 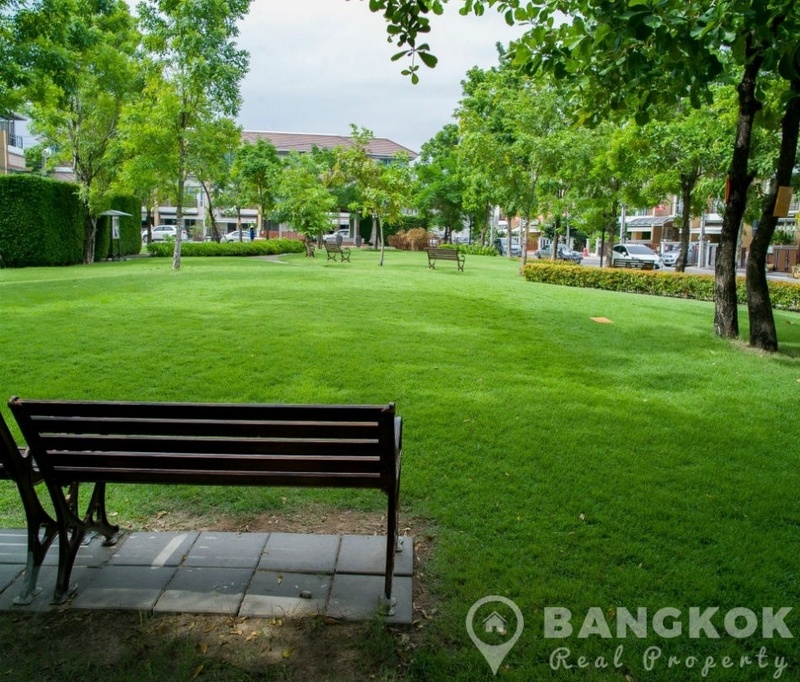 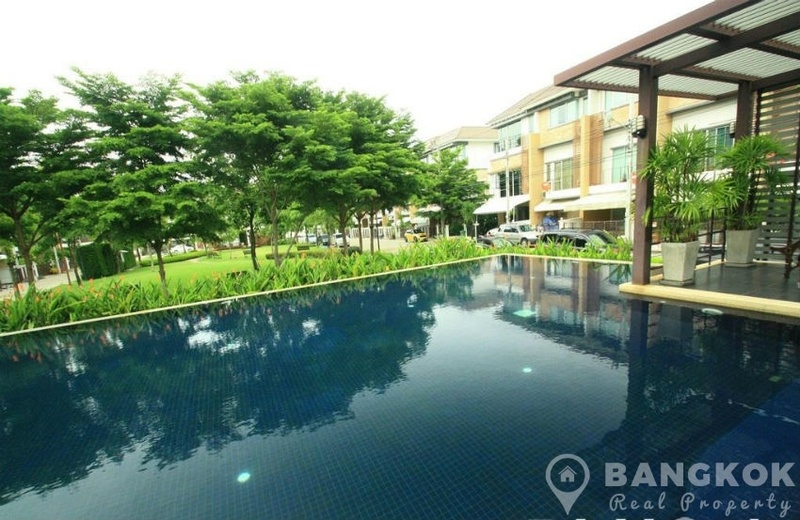 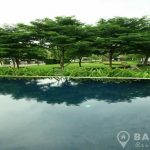 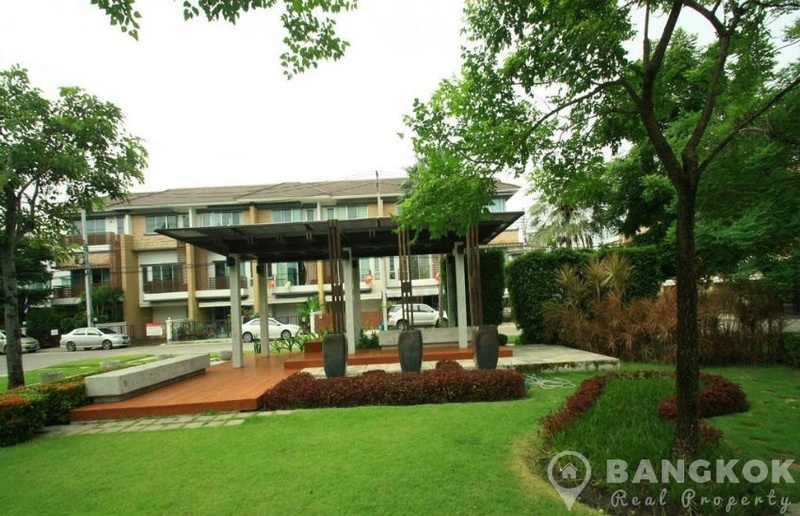 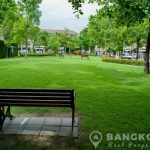 This secure, private compound development built by Sansiri, is set around a central courtyard with club house and residents easy access to local amenities including Tops Market, Villa Market @ Paradise Park, Seacon Square, Central Bangna, Bangna Hospital, Suan Luang Rama 9 Park and several internationals schools. 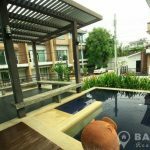 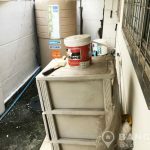 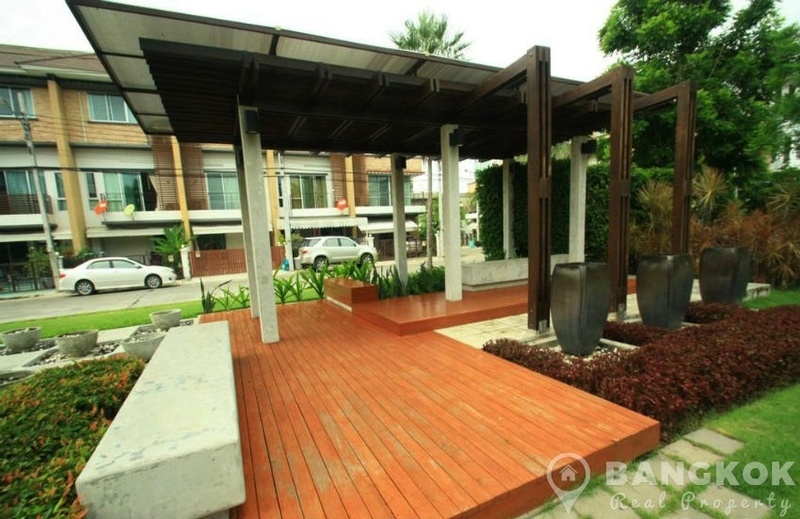 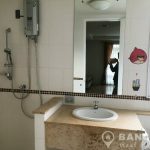 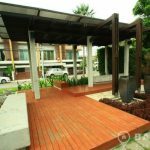 This modern, freehold title, mid terraced, Udomsuk townhouse has 3 bedrooms, 3 modern bathrooms and has living space of 160 sq.m on a plot of 21.30 sq.wah (85.20 sq.m). 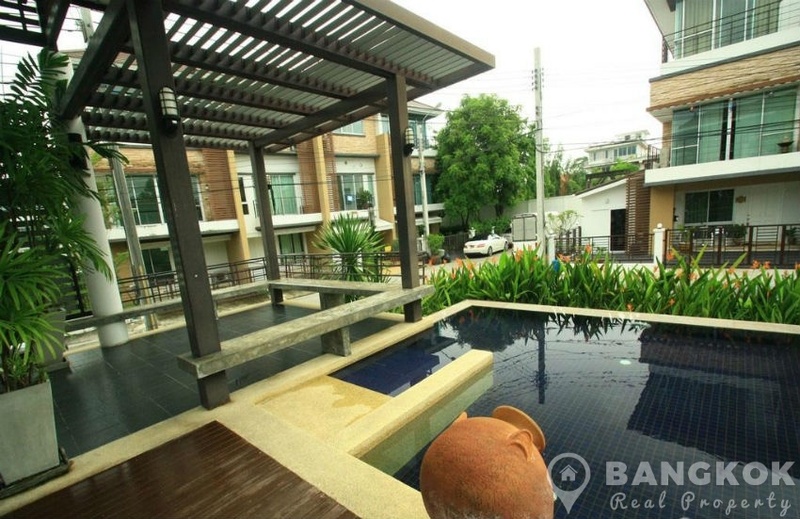 Set over 3 floors, the 1st floor (ground) has bright open plan livingroom – dining area with ceramic tiled floors. 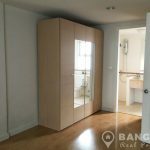 There is also a guest bathroom and a kitchen with built in units, a built in gas hob (stove) and extractor fan (hood) and washing machine. 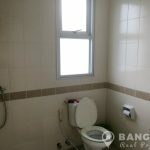 The 2nd floor has a spacious, master bedroom suite, a balcony and an ensuite bathroom with power shower. 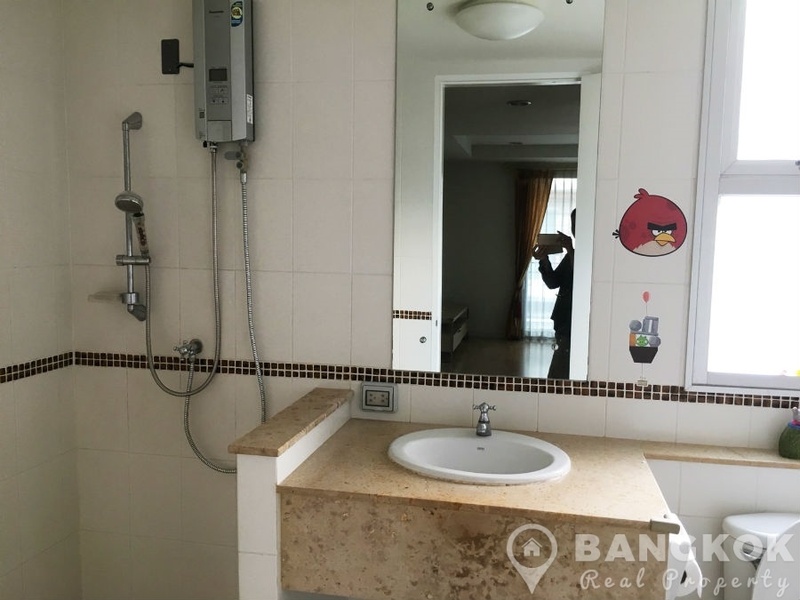 The 3rd floor 1 double and 1 single bedroom with the main family bathroom with power shower. 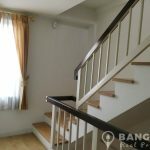 The 2nd and 3rd floors have wooden floors. 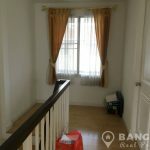 The house is being sold part furnished as shown. 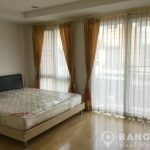 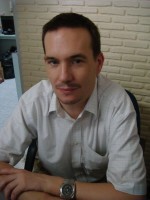 (+66) 089-412-0111 / (+66) 094-343-7994- 7 Days a Week ! 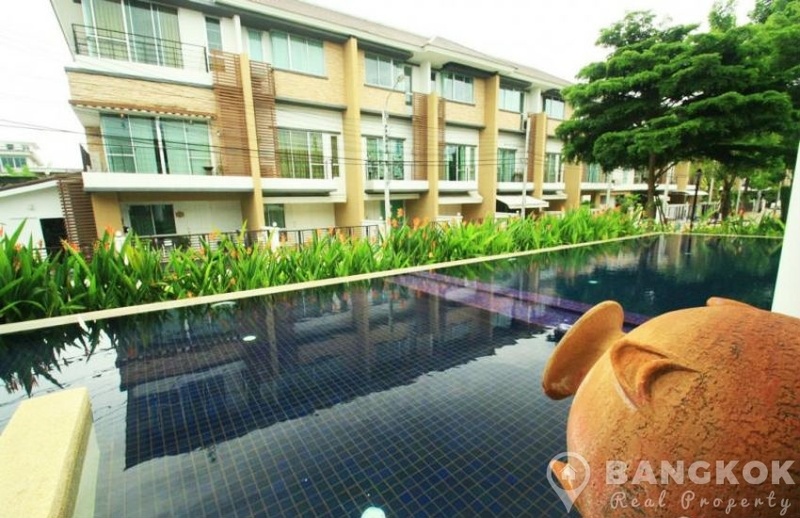 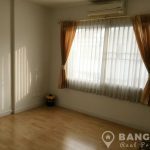 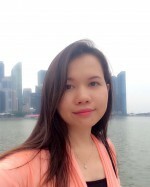 A modern, secure town house development located on Chaloem Prakiat Rama 9 Road with easy access to Udomsuk BTS. 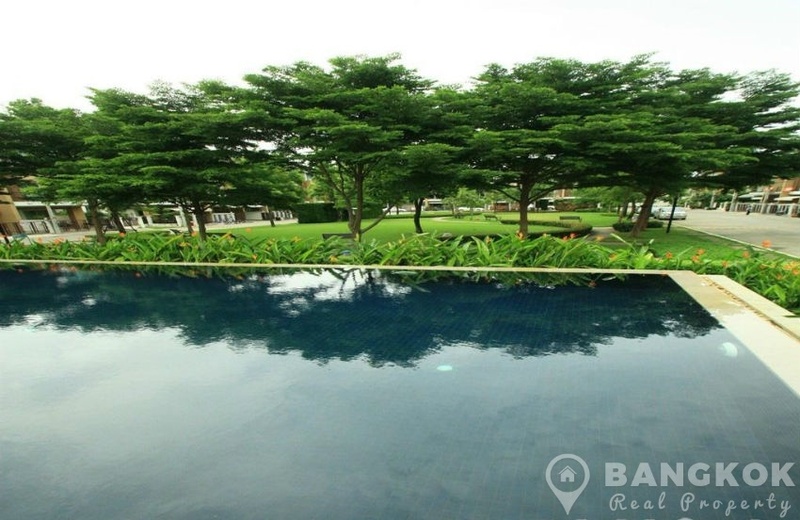 Built by Sansiri, c. 2009 has 3 and 4 bedroom houses set in a secure compound with gardens areas and swimming pool and clubhouse.